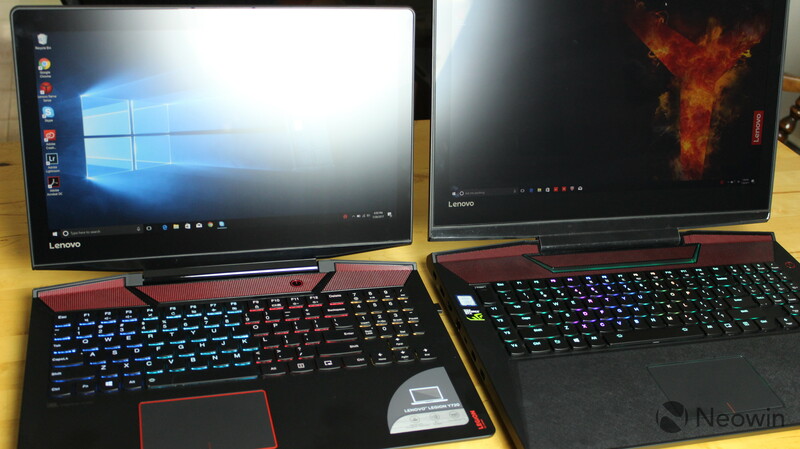 Lenovo kicked off its new gaming laptop brand, Legion, with the Y520 and Y720 at CES this year, but it wasn't until May that the company announced the flagship of the line, the Y920. Priced at $2,699, this thing is simply a beast. 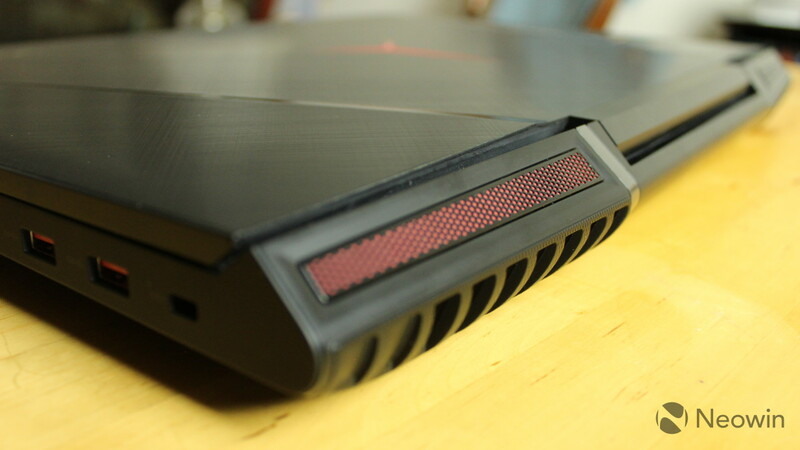 It includes an unlocked Intel Core i7-7820HK processor, and it's VR-ready due to the 8GB Nvidia GeForce 1070 GPU. 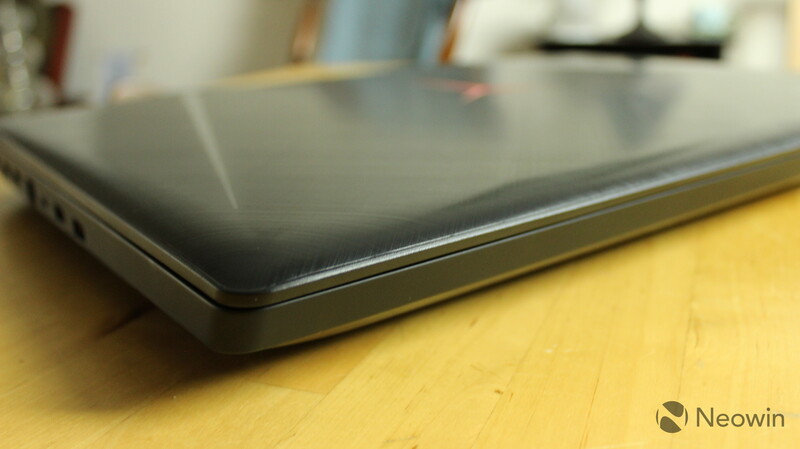 It packs 16GB RAM, along with a 512GB SSD and 1TB SSD. The 17.3-inch 1080p display supports Nvidia's G-Sync, and the JDL speakers include Dolby Home Theater. 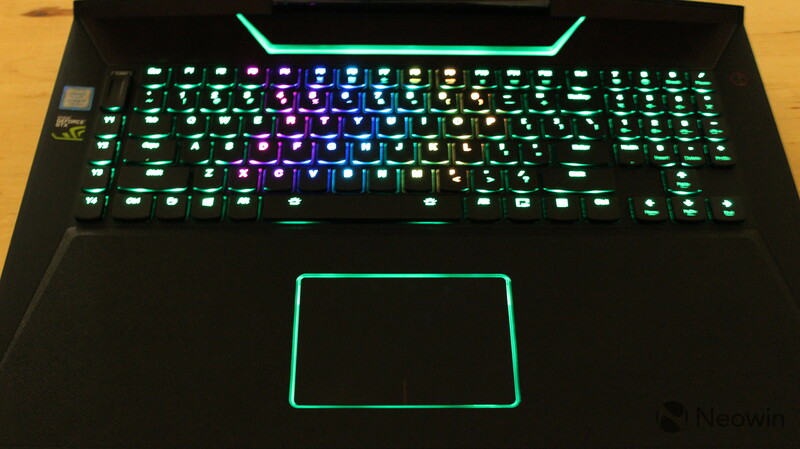 At the end of the day, it's a sweet gaming rig. 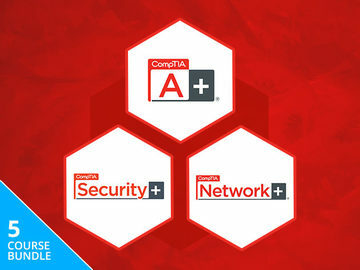 Read on to find out more. 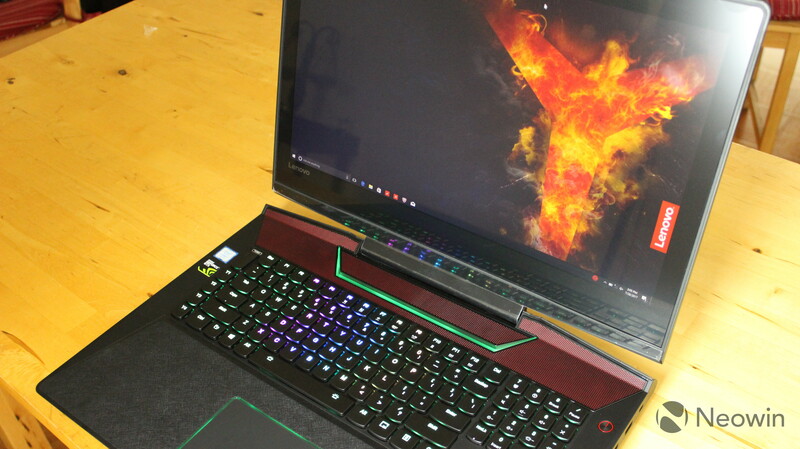 Constructed with aluminum, the design of the Legion Y920 is similar to the rest of the lineup, but it's bigger; much bigger. At almost an inch and a half thick and over 10 pounds, this isn't something that I'd want to carry around regularly. 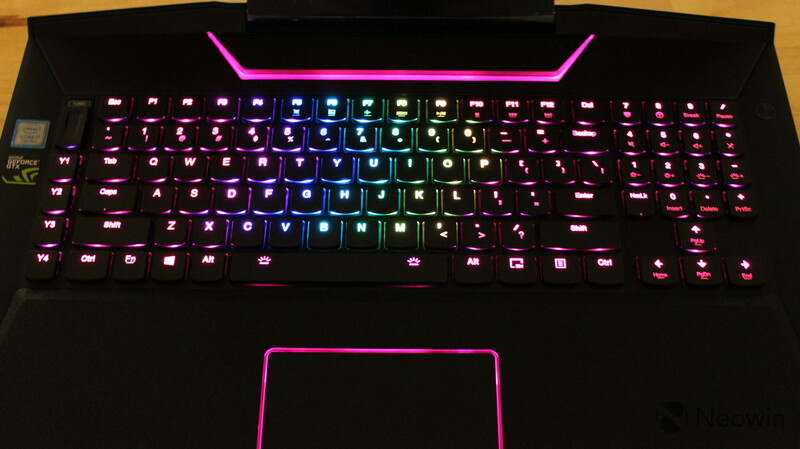 In fact, in my time reviewing this PC, I've often wondered why I'd spend so much money on a device like this instead of a gaming desktop, like the Legion Y920 Desktop. Of course, it does have its place, such as if you travel frequently. I don't want to get too deep into the use cases of such a bulky and heavy laptop, because I know that there is a market for this sort of thing. The device is accented in red, as all Legion PCs are, although the power button is located to the right of the keyboard on this one. 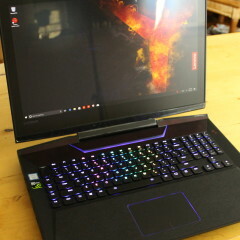 As with the Y720, the JBL speakers are located above the keyboard, and the Dolby Home Theater technology provides a somewhat immersive audio experience. 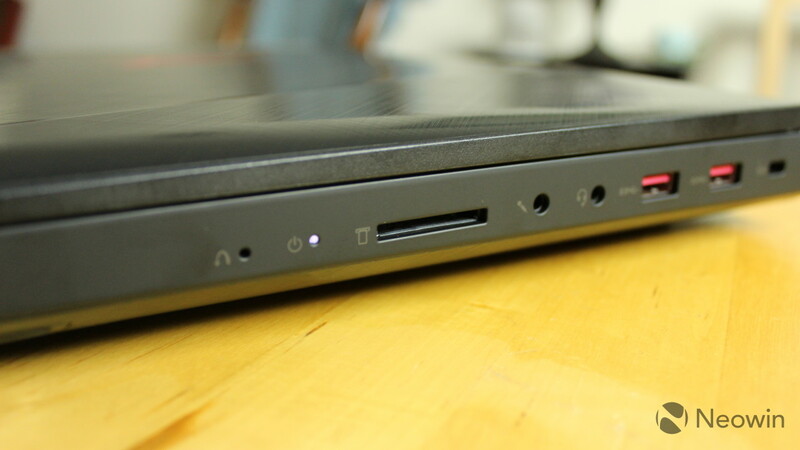 The Y920 doesn't make any compromises when it comes to ports. 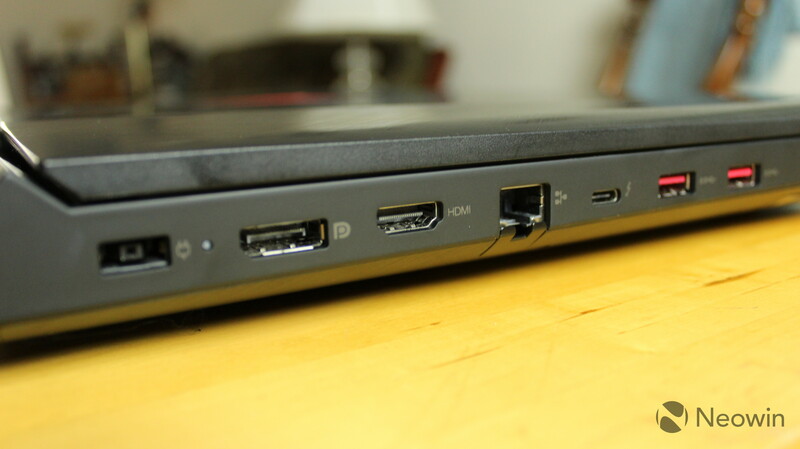 On the right side of the device, you'll find separate microphone and headset jacks, along with a Kensington Lock and two USB 3.0 Type-A ports. 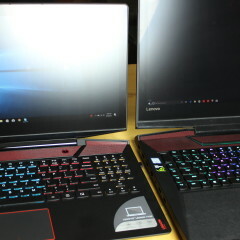 On the left are two more USB 3.0 Type-A ports, a full-sized DisplayPort, HDMI, Ethernet, Thunderbolt 3, and of course, Lenovo's proprietary charging port. 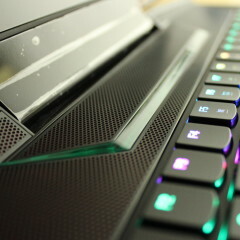 The trackpad is centered below the keyboard, which deviates from the other Legion laptops - and many other gaming laptops - which place it to the left. 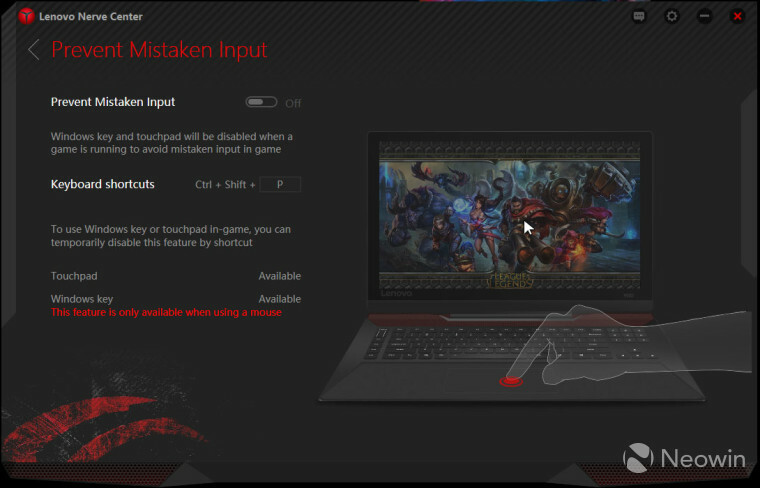 Personally, I think this is better, as it works for left- and right-handed users. 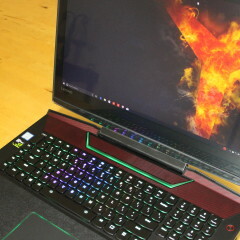 Unlike with the Legion Y720, there is no 4K option available for the Y920, but it does have Nvidia's G-Sync technology. 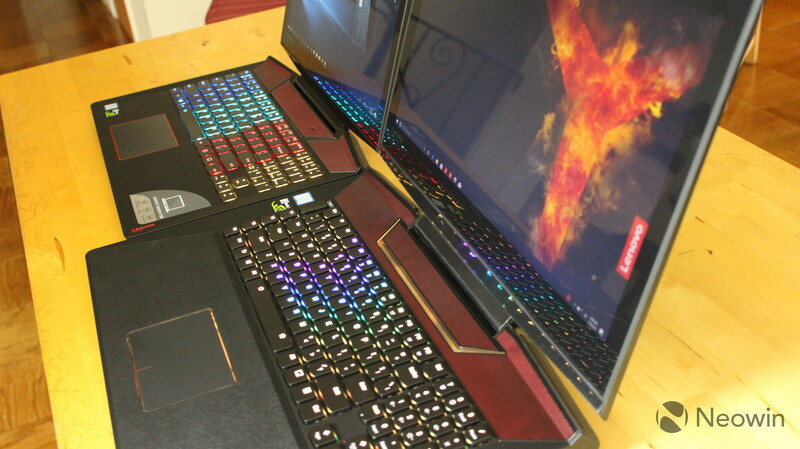 Note that 4K G-Sync laptops do exist, and there are plenty of 1440p options. The technology was first announced in 2013 to offer variable refresh rates for the display. And that would be the downside to having a higher resolution. 4K, or even 1440p, would result in a lower refresh rate, so what you're getting here with 1080p is smoother gameplay. 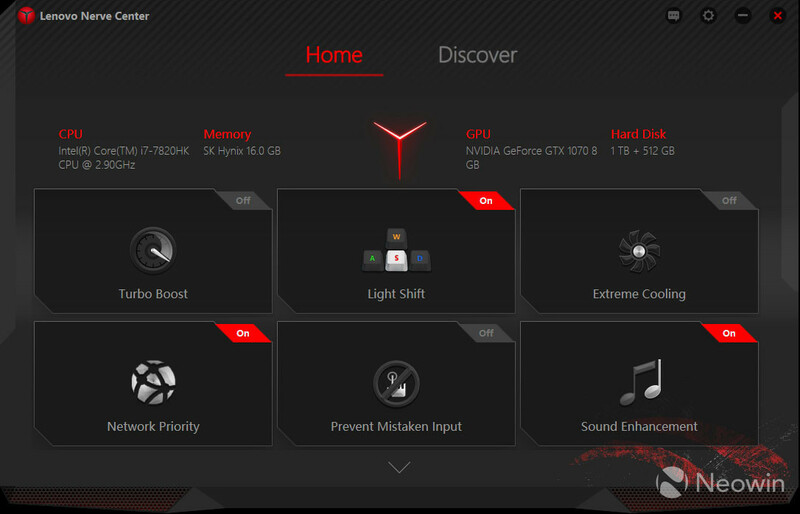 G-Sync also eliminates screen tearing, reduces input lag, and reduces scene loading times. The Y920 also includes Lenovo's Turbo Boost feature, which bumps up graphics performance "with the flick of a switch", a switch which is located on the left side of the keyboard along with four programmable keys. It's also an anti-glare display, which is really helpful in situations where a reflection might affect your gameplay. I'm a big fan of anti-glare tech when playing games, as it really can provide an edge. 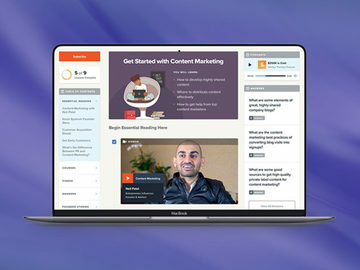 You do get ports for HDMI, full-sized DisplayPort, and Thunderbolt 3, so if you really want a higher resolution, you can connect to something external. Thunderbolt 3 supports up to two 4K displays or one 5K display, and I had no trouble playing Star Trek Online at 4K 60fps. 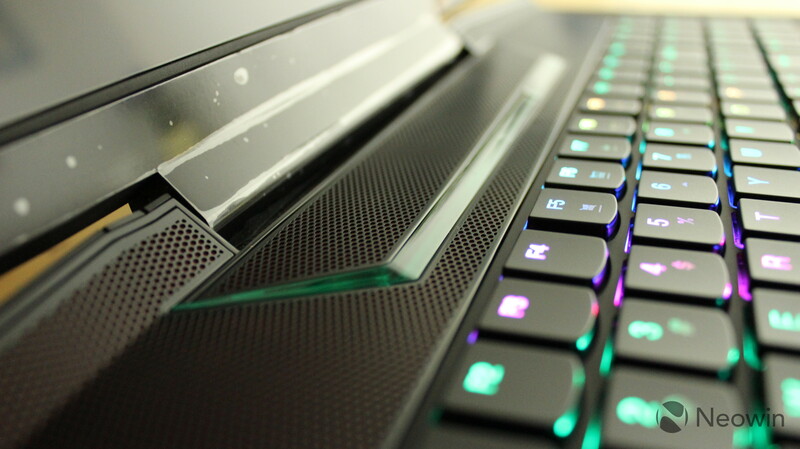 The Lenovo Legion Y920 uses an RGB mechanical keyboard, and mechanical keyboards are something that I've never been a big fan of. In other words, you won't see me typing up articles on this rig, but it is pretty great for gaming. 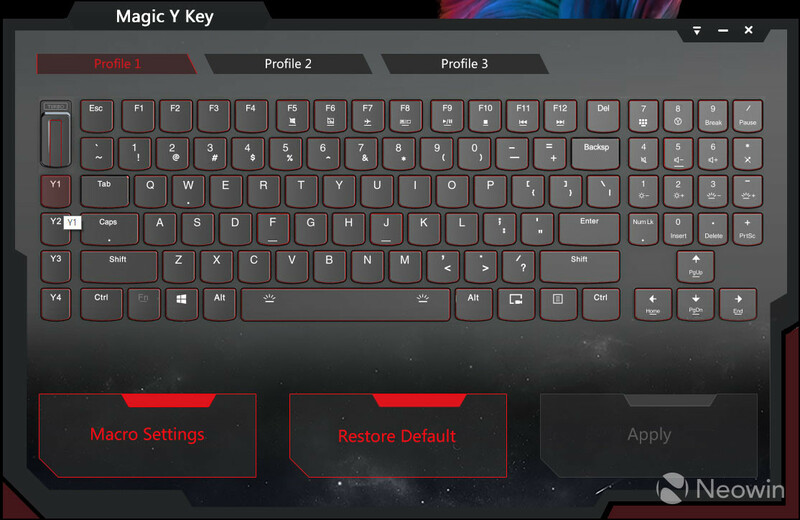 The keys offer a 1ms response time, so there's minimal delay when pressing them. Again, this is one of those little things that can give you an edge when you're playing a game. One thing that I love about it is that there's a dedicated key for screen recording. 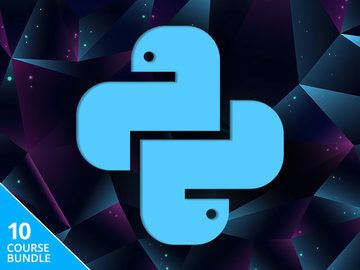 Not only do you not have to find third-party software to record your screen, but you can do it just by pressing a button. It's not exclusive to recording games either; you can record whatever you're doing. The colors of the keys are configurable through Lenovo's Nerve Center application, and you can choose between pretty much any color you want, or no backlight at all. 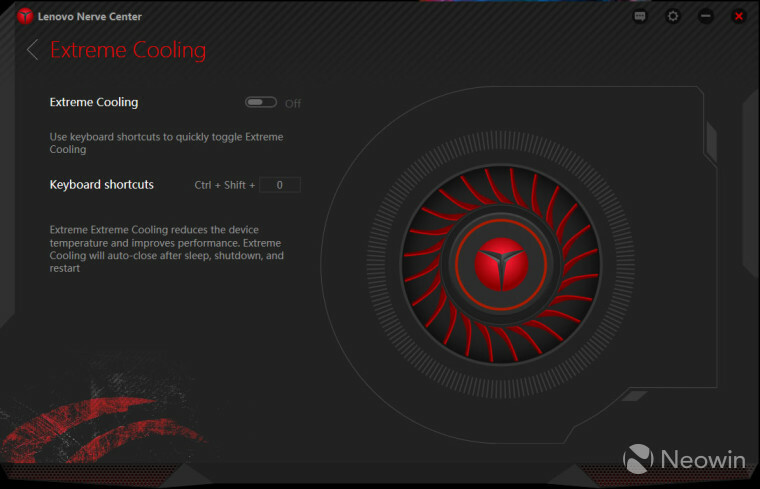 You can also set it to change regularly, or choose "pulsing and wavelike" effects. 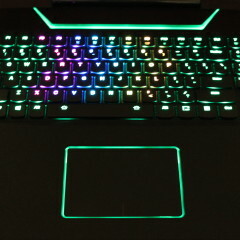 These colors also accent the border around the trackpad and around the speakers. 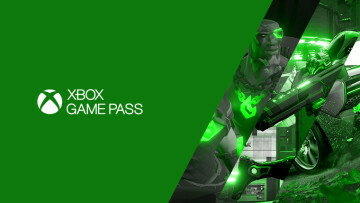 It's a really cool-looking experience. 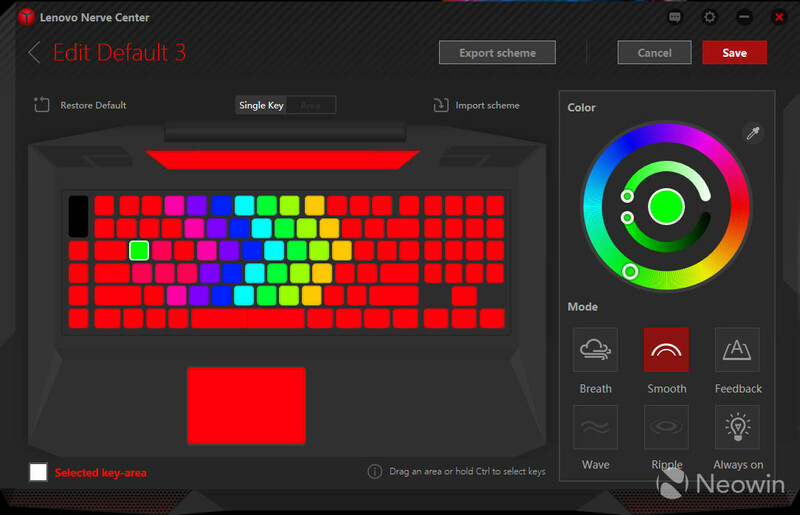 You can also customize individual keys, or you can choose to change the color of entire areas of the keyboard. 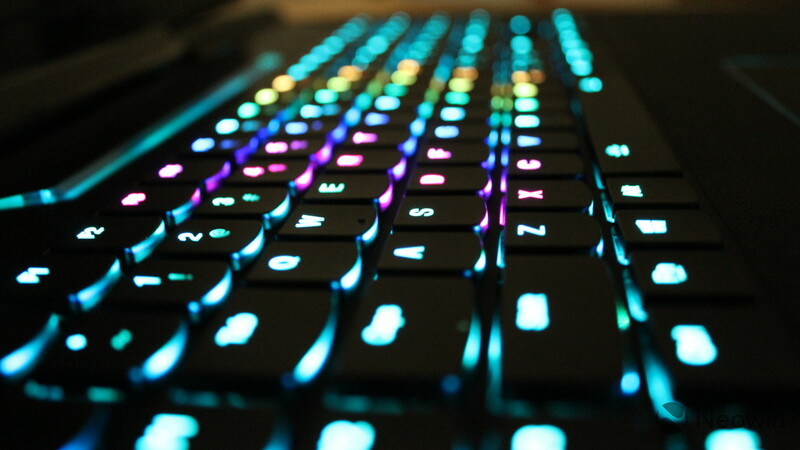 There are keyboard shortcuts that you can configure to shut off the trackpad and the Windows key when playing games, to turn on Extreme Cooling, and more. Aside from Lenovo Nerve Center, there's the Magic Y Key app that lets you customize various macro keys - such as the four Y keys to the left of the main keyboard - and there's a Training Manual app, just in case you're not familiar with any of this stuff. When I reviewed the Legion Y720, I noted that the battery life wasn't very good, and this is even worse. 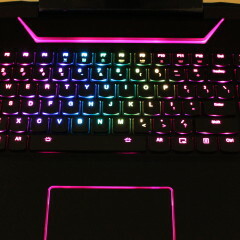 This is another point where I question the use case of the laptop form factor here, because if you always have to have it connected to power, I'd think a gaming desktop would be in order. 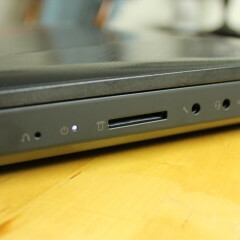 Lenovo says that the Y920 is good for up to 3.5 hours of juice, and as usual, I find that to be generous. Especially when playing games, you'll be lucky to get three hours. I found myself always keeping it connected to power, because you really don't want your laptop to die while you're playing. 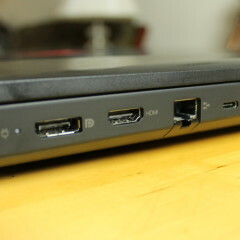 The device charges with Lenovo's proprietary power cable, and it comes with a 230W charging brick. In other words, don't plan on using any other Lenovo power cables that you might have lying around, because this thing uses a lot of juice. I also give it a dedicated power outlets, but that's mainly because I suspect that my apartment complex's electrical wiring is held together with paper clips and chewing gum, and is powered by hamsters running on wheels somewhere. Despite the amount of power consumed, the PC doesn't seem to get too hot, and Lenovo says that it has an improved thermal design. 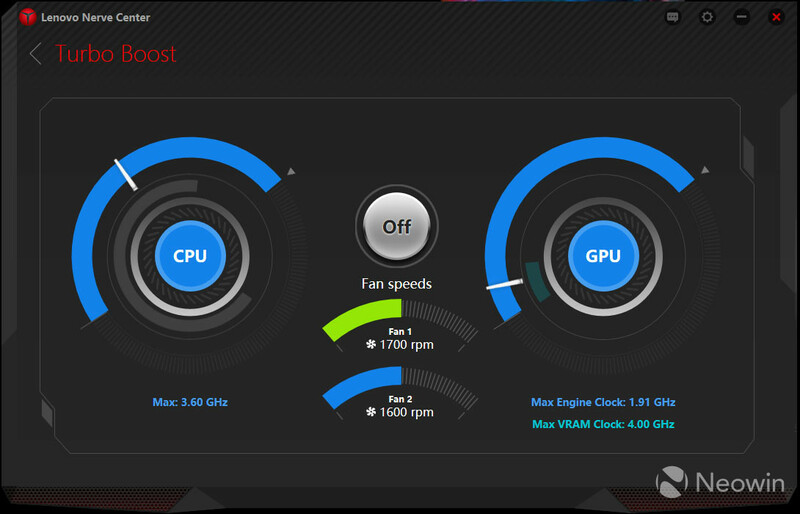 There are dual fans that are "very near" to the processor and the graphics card. I have to say, the fans don't get very loud either. All I can say is, the JBL speakers on the Legion Y920 get loud. They use Dolby Home Theater for an immersive and clear experience. You're not going to find yourself needing external speakers in this case. 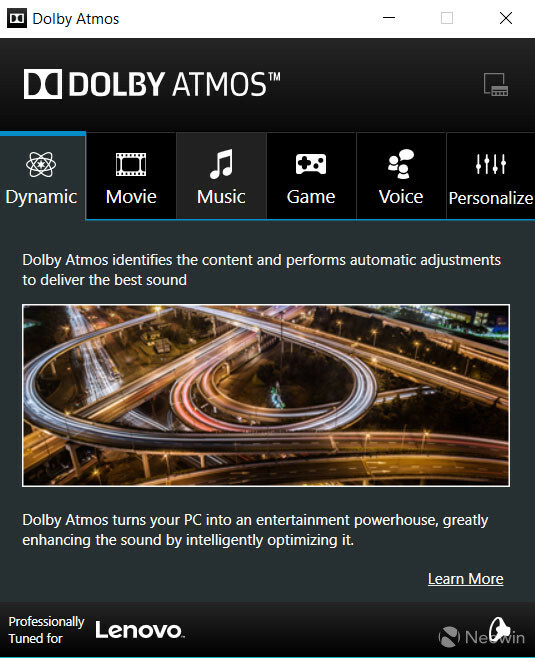 The device uses the Dolby Atmos app to tune the audio, which you'll also find on the Legion Y720 and other PCs that use Dolby. 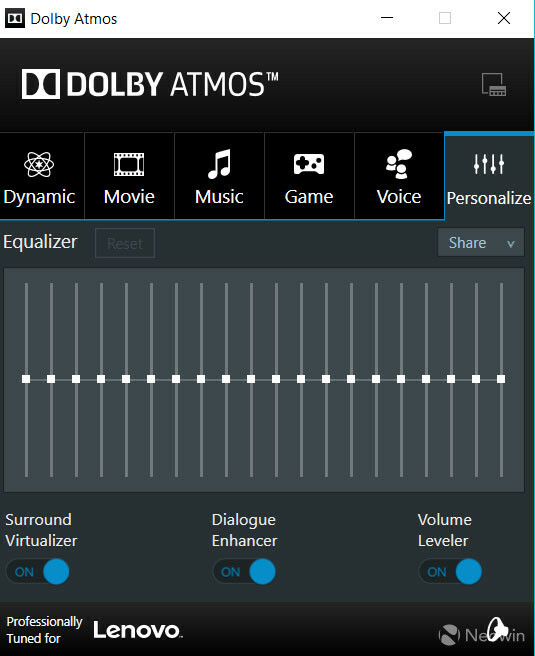 You can choose any of the preset offerings for Movie, Music, Game, or Voice, and there's a Dynamic option that attempts to automatically tell which type of sound you're listening to and tune it accordingly. The Personalize tab has options for an Equalizer, and toggles for Surround Virtualizer, Dialogue Enhancer, and Volume Leveler, just in case you're not happy with the other options. I think you will be though, as I've found the Dynamic setting to sound wonderful all the time. I've said it before and I'll say it again; once you use a PC that has Dolby, you won't want to use anything else, as far as audio is concerned, at least. 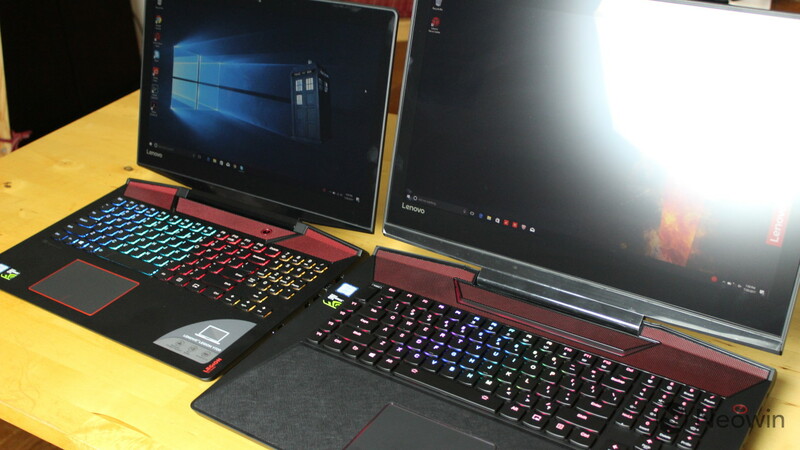 Obviously, when it comes to a gaming PC, performance is a huge factor, and Lenovo's Legion Y920 does not disappoint in any way. 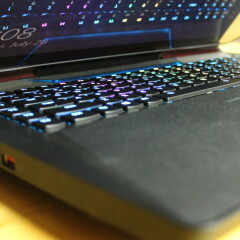 I used it for everything from writing articles, to editing photos, to editing videos, to playing games. 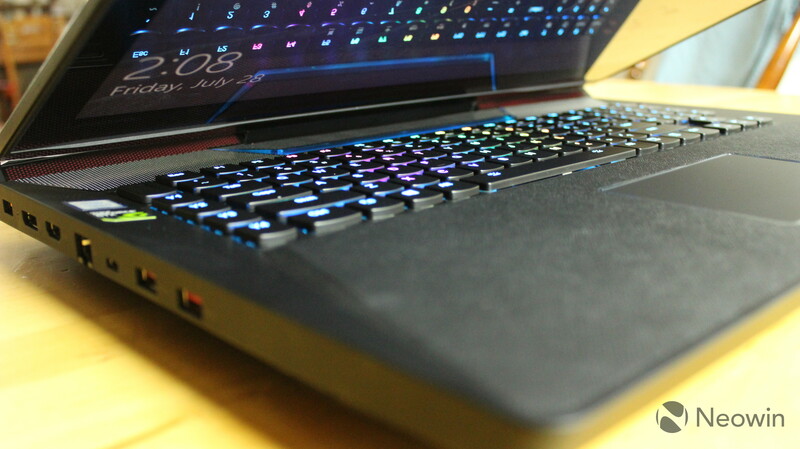 For editing videos, I use Adobe Premiere Pro, and the process is as smooth as it is on my desktop, which is an Alienware Aurora R6 with a Core i7-7700, an Nvidia GeForce GTX 1080 GPU, and 16GB RAM. Obviously, you don't have to use this machine exclusively for gaming. It's wonderful for creative tasks that require a lot of power. 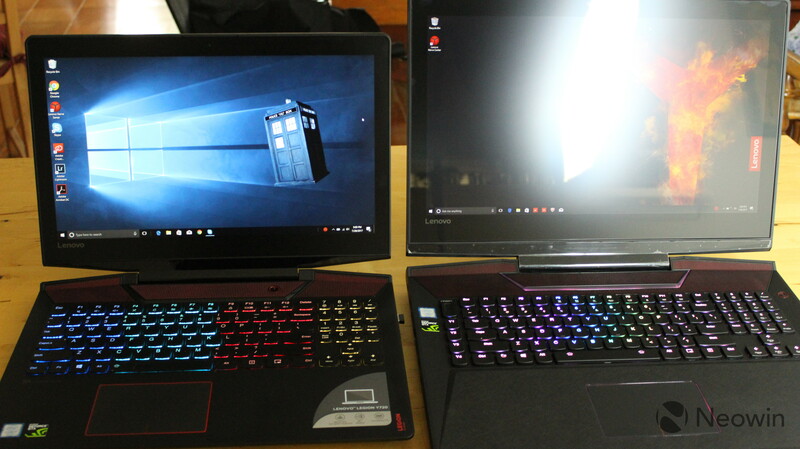 And then there was the fun part of reviewing a gaming laptop, which was playing the actual games. Most of the games that I played came from the Windows Store, including Gears of War 4, Gears of War Ultimate Edition, Quantum Break, and Forza Horizon 3. I also played Star Trek Online, which is a game that I play pretty frequently these days on all of my machines, and like I said earlier, I had no problem running it at 4K 60fps on an external monitor. Gameplay was as smooth as you might expect from such a machine, although I found that Quantum Break had some issues, although I'm pretty sure that's the game's fault, rather than the machine's. 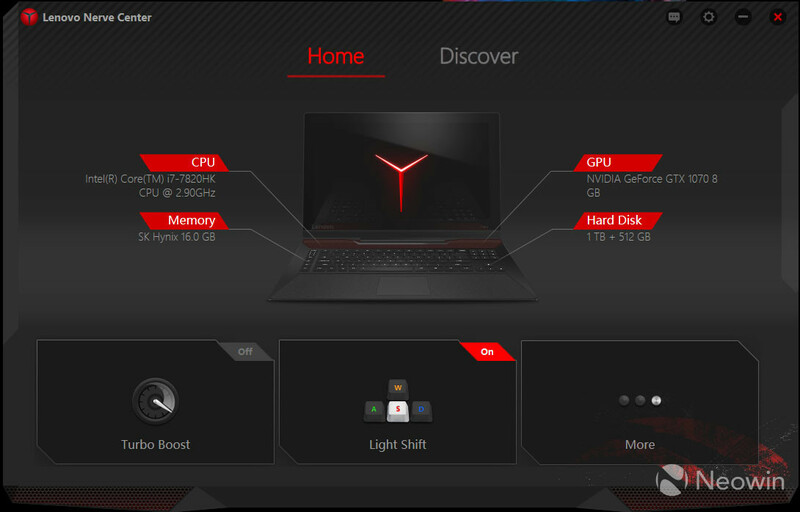 The Lenovo Legion Y920 comes with a Core i7-7820HK processor, and to break that down, the first '7' in 7820 means that it's from Intel's seventh-generation 'Kaby Lake' series, the 'H' means that it's high-power quad-core, and the 'K' means that it's unlocked for overclocking. An HK-series chip is similar to an HQ-series processor - such as the one in the Legion Y720 - except it's unlocked. For benchmarks, I used PCMark 8, which performs three tests: Home, Creative, and Work. The first is Home, and it simulates everyday types of tasks, such as writing, video chat, casual gaming, and photo editing. As you can see, the Y920 smokes the competition in this test, coming in at better than 92% of other PCs. Next up is the Creative test, which simulates things like video editing. Once again, the Legion Y920 comes in far ahead of the competition, scoring better than 90% of other devices. Finally, the Work test simulates productivity-related tasks. 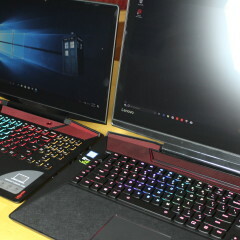 Just in case you're not seeing the trend here, Lenovo's Legion Y920 is a very powerful PC. One of the reasons that it will consistently outperform a 4K gaming PC is that with a Core i7-7820HK chip and an Nvidia GeForce GTX 1070 GPU, it has the internals to support 4K, but with a 1080p display, it has to push a quarter of the pixels. One thing that I absolutely love about the Legion Y920 is the storage capacity, so yes, it deserves its own section. 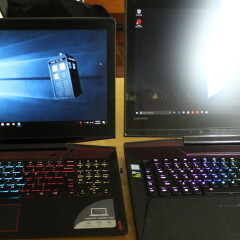 It includes both a 512GB SSD and 1TB HDD, so you really have room to run games off of either one. 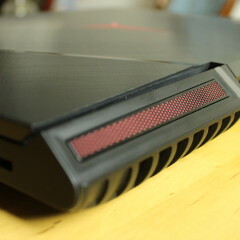 This is compared to the Y720, which includes a 128GB SSD and 1TB HDD, so any big games had to stay on the HDD. Obviously, you'll get better performance off of an SSD; they're pretty much universally faster than an HDD. I didn't have any trouble or performance issues running games off of the HDD, but it's just better on the SSD. As I mentioned, most of the games that I played came from the Windows Store, which means that it's easy to transfer games between drives through the Settings app. I'd recommend keeping the games that you play more frequently on the SSD, with the rest on the HDD. 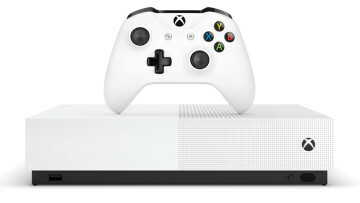 But ultimately, you've got plenty of room for all of the games that you want on this machine, and you can probably sync your whole cloud storage drive too. 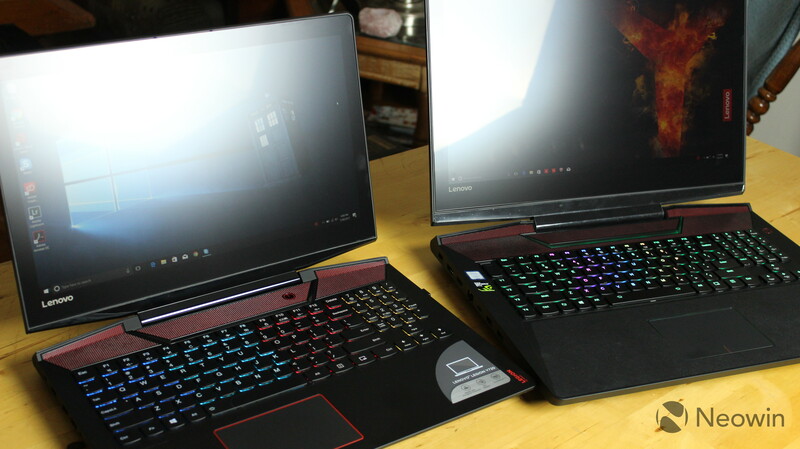 OK, so Lenovo's Legion Y920 gaming laptop is a beast of a machine, with a big 17.3-inch Full HD display and powerful internals, so what is it missing? 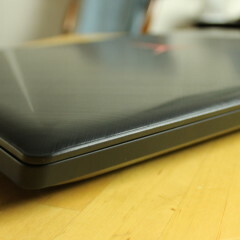 One thing that it's missing is the built-in Xbox Wireless Adapter, which was included in the Y720. 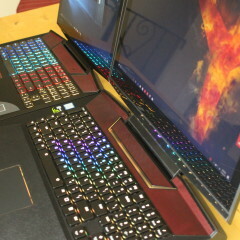 In fact, that's really the only thing that the Y720 had that the Y920 doesn't. It's disappointing, as Microsoft has delayed its USB Xbox Wireless Adapter until 2018 and the existing one is big and bulky. 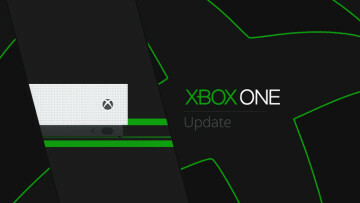 In the meantime, you can connect your controller via micro-USB. 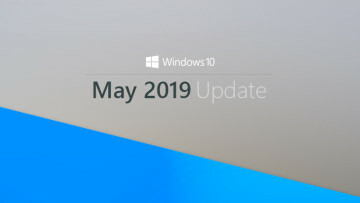 Other things that I'd have liked to have seen are Windows Hello support and a touchscreen. 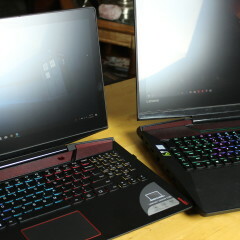 Neither of these things are common for a gaming laptop, but I don't really see why they shouldn't be. If I'm going to spend $2,699 plus taxes on a new PC, I want it to recognize my face to sign me in. In 2017, it feels barbaric to have to type in a password. As far as touchscreens go, I don't necessarily need it, but I prefer a similar UX across all devices. More so than the lack of Windows Hello, I sort of understand why there wouldn't be a touchscreen, as this might cause mistaken input during gameplay, although it could be shut off through the Lenovo Nerve Sense app. The 17.3-inch Full HD display and the Dolby Home Theater audio makes for an immersive experience, and the powerful internals mean that it's VR-ready. In fact, if you watched my unboxing video of the Acer Windows Mixed Reality Headset Developer Edition, you saw that I used the Y920 to set it up. 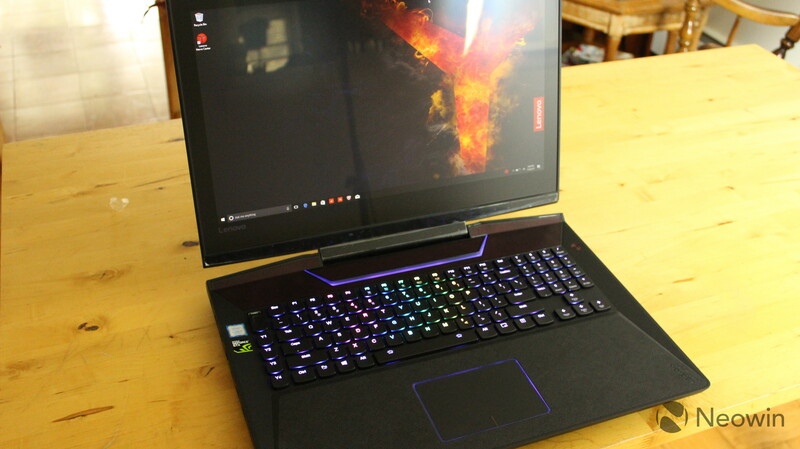 Indeed, there's really nothing to complain about here, and if $2,699 is within your budget for one of the better gaming laptops around, the Lenovo Legion Y920 is certainly an excellent option. 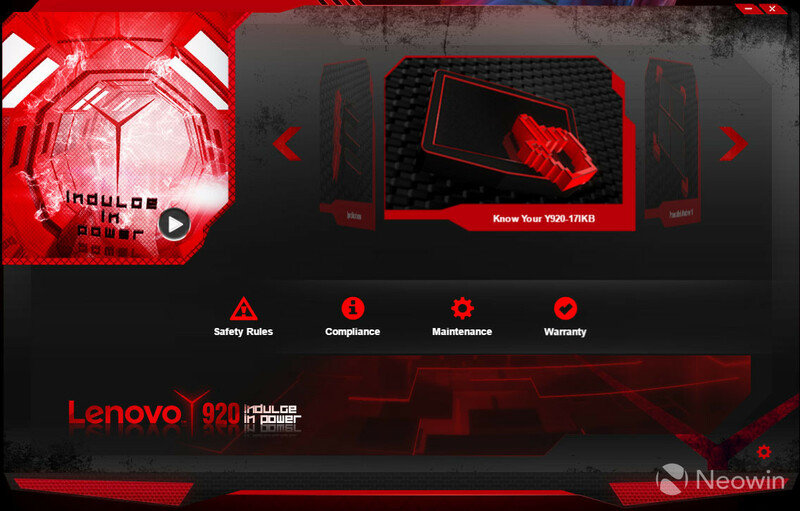 If you want to order the Legion Y920, you can get it from Lenovo.com here.